The staff were very helpful and polite. A very relaxing environment. The accommodations and food were wonderful. They have their own garden where they grow food which is then prepared for you. The staff is incredibly friendly. We had an excellent evening here. Everything! Incredible staff, incredible room, food, and experience. Best in all of Sri Lanka and mainly because of the dedicated staff and the energy they put into creating an amazing experience for their guests. We had a huge suite with a common area that had couches and balconies that we could also enjoy. Bathroom was very large too. Bar area with fridge as well. The chefs create delicious Sri Lankan food and western food. The owner was lovely also. Because we stayed four nights he treated me to an aromatherapy session/massage after we climbed Sri Pada and it was excellent. Incredible value at Tea Hills. Everyone travelling to Sri Pada should stay here for at least two or three nights. Warm welcome, excellent food, spotless and large room. Slept well here and woke to lovely views of tea plantation, village life, and bird song. Amazing staff! Everyone that works there is helpful and kind. 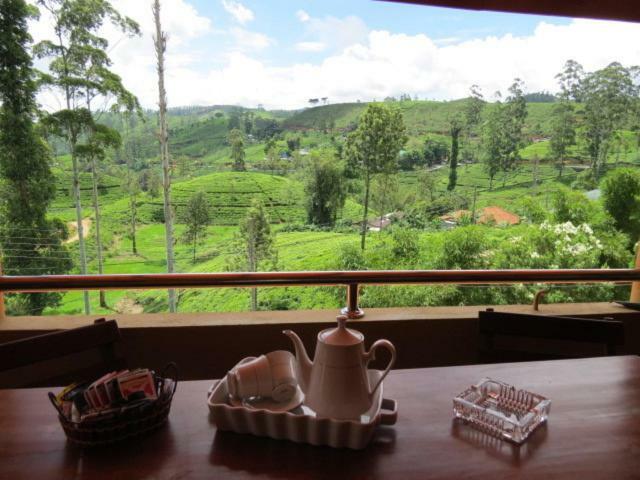 Great rooms with amazing view of the tea plantations. The place exceeded our expectations. 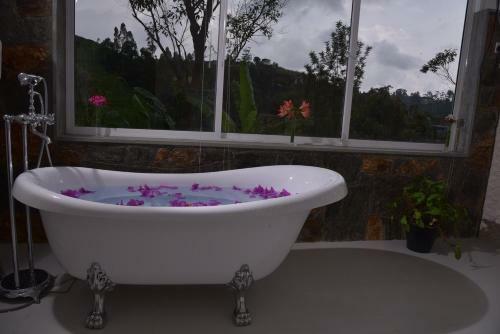 It is situated on a steep hillside overlooking a tea plantation and our room had a balcony with lovely view. The room itself and the bathroom were both enormous. The food was excellent, mainly cooked with fresh veggies from their organic garden. They were happy to arrange whatever trips we wanted to do, although we were tired after climbing Adam’s Peak, so only did one trip. The staff were extremely attentive and always offering help with whatever we wanted. In addition, the place is excellent value! Staff goes absolutely above and beyond to make you feel comfortable. Nice view from the rooms. Fireplace on the balcony is amazing. We had trouble renting a scooter, but found the local and very friendly Yamaha dealer (Vinoth +971 55 341 5541) willing to rent us a nice scooter. One of Th best hotels in Sri Lanka. Close to the street but quiet with tea plants around. The room is very clean and spacious. There’s a large sofa to relax and watch TV and a big balcony. Amazing food! The best vegetarian food I have ever tasted in Sri Lanka. Sathees, yogesh and other staffs are very friendly and helpful. They arranged everything for us and gave us an amazing “gift” when we left. Don’t go to Nuwara Eliya, here is the best place. Excellent service. Superb food and very clean and tidy rooms. The staff went out of their way to make us feel great. The family room was very cozy and comfortable. This place was a surprise. We had no plans to visit Hatton but we are glad we did. This place has the most amazing and devoted staff we ever met. The view was amazing and the food was great. 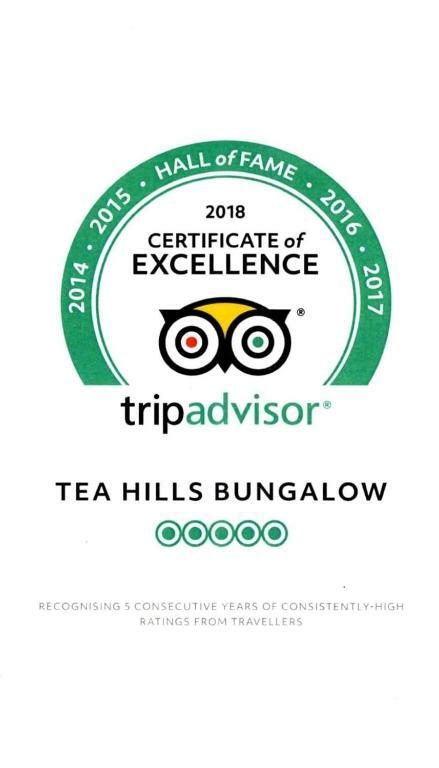 Lock in a great price for Tea Hills Bungalow – rated 9.4 by recent guests! One of our top picks in Hatton.Tea Hills Bungalow is located in Hatton. Free WiFi access is available in the public areas of this chalet. The fan-cooled accommodations will provide you with a flat-screen cable TV, seating area with sofa and work desk. There is a kitchenette with a refrigerator. Featuring a shower, private bathroom also comes with a hairdryer and free toiletries. You can enjoy mountain and garden view from the balcony. 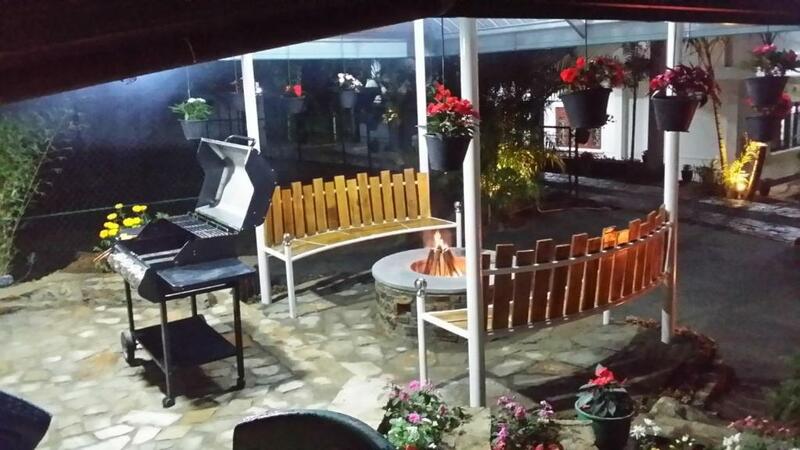 At Tea Hills Bungalow you will find barbecue facilities. Other facilities offered at the property include water sports facilities and an ironing service. 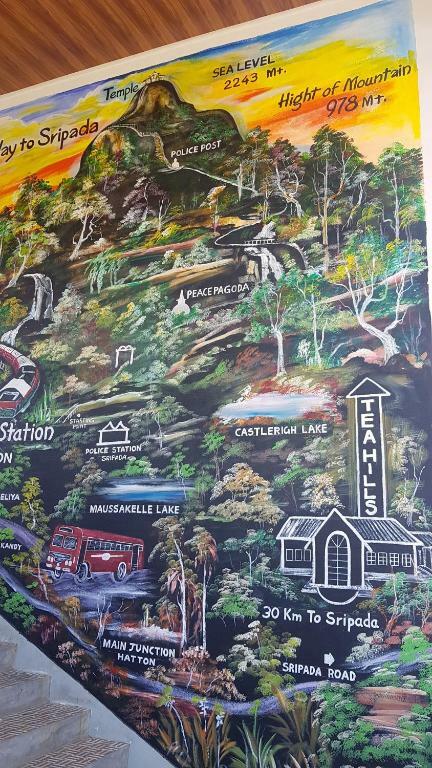 An array of activities can be enjoyed on site or in the surroundings, including fishing and hiking. The property offers car rental services and free parking. 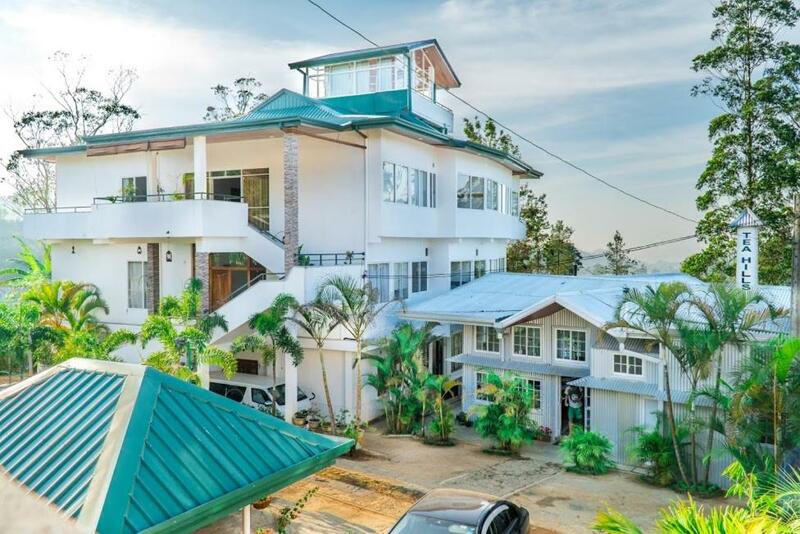 This chalet is 52 mi from the Bandaranaike International Airport. The property has a restaurant. Room service is available. This property also has one of the top-rated locations in Hatton! Guests are happier about it compared to other properties in the area. This property is also rated for the best value in Hatton! Guests are getting more for their money when compared to other properties in this city. 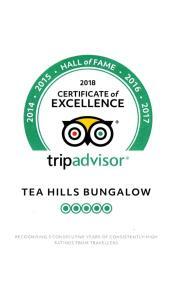 When would you like to stay at Tea Hills Bungalow? The fan-cooled accommodations will provide you with a flat-screen cable TV, seating area with sofa and work desk. Featuring a shower, private bathroom also comes with a hairdryer. You can enjoy mountain view and garden view from the balcony. The fan-cooled accommodations will provide you with a flat-screen cable TV, seating area with sofa and work desk. There is a kitchenette with a refrigerator. Featuring a shower, private bathroom also comes with a hairdryer and free toiletries. You can enjoy mountain view and garden view from the balcony. This family room features a balcony, kitchenware and toaster. Bathroom comes with free toiletries. This triple room features a balcony, satellite TV and view. Bathroom comes with free toiletries. This suite has a balcony, cable TV and CD player. This suite features a balcony, barbecue and bathrobe. Bathroom comes with free toiletries. This twin/double room has a kitchen, DVD player and tumble dryer. Bathroom comes with free toiletries. 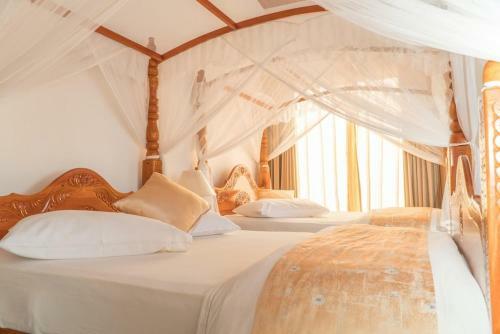 This chalet has an attached bathroom, flat screen TV and a mosquito net. House Rules Tea Hills Bungalow takes special requests – add in the next step! Tea Hills Bungalow accepts these cards and reserves the right to temporarily hold an amount prior to arrival. Please inform Tea Hills Bungalow of your expected arrival time in advance. You can use the Special Requests box when booking, or contact the property directly using the contact details in your confirmation. Friendly staff, good service . Almost we were happy to stayed and enjoyed. Location not in the hills, on the outskirts of Hatton. Road to hotel not laid. Quite a bit of rubbish on route to hotel from main road. Unable to serve alcohol due to no license. 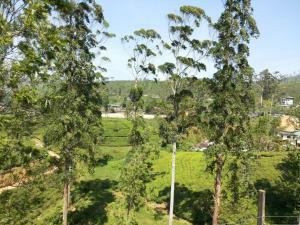 Nice view of tea fields from bath tub. Good size and clean room. Staff very attentive and helpful. Food in restuarant good. Good for a stop over. Wonderful location with spectacular views, spacious rooms. Staff incredibly helpful and friendly. Food pricey by local standards but excellent nonetheless. Beautiful view of the tea fields from the room and the restaurant! The staff were very helpful and accomodating. We even got an upgrade! The room was very large and had the most comfortable bed! Nice comfy blankets to keep you warm and was very clean. The bathroom was a little bit dated but still super clean. The hotel arranged tuk tuks to the town for a good price. The shower was great , hot water and good water pressure. They also supplied shampoo and soap. Breakfast included a juice some bread/toast, Sri lankan style omlete , roti and curry for 6USD pp. Overall excellent stay. Our stay was PERFECT! Beautiful location surrounded by tea hills, wonderful hotel (we even got upgraded to the best room), amazing food and most of all, the most friendly, helpful and respectful hosts ever. Highly recommended! The staff was very helpful and friendly. Yogesh, the manager, was polite and attentive. I mainly stayed in Hatton to hike up Adams Peak. 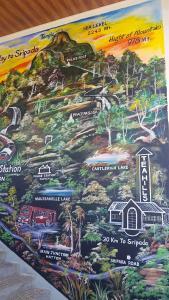 Before my trip, Yogesh showed me a mural of the path,that they painted on the bungalow. He gave me the most important information about the hike and it turned out to be really useful. Can only recommend. Nothing to mention, we simply loved everything there. What a unique place with some of the most professional staff I ever met in Sri Lanka. We took a detour on the way to Ella and it was absolutlely worth it. We were a group of 8 and the super friendly manager offered us a room upgrade immediately after check in, which was the first time for us in whole Sri Lanka. Thanks for the great experience.